Sugar. It’s sweet, addictive, and surprisingly causes skin to age faster than it should. Not to mention it packs on the pounds in all the not so flattering areas. The science is this: When you have sugar molecules in your system, they bombard the body’s cells like a meteor ­shower—glomming onto fats and proteins in a process known as glycation. This forms advanced glycation end products (commonly shortened, appropriately, to AGEs), which cause protein fibers to become stiff and malformed. Much of what is known about glycation’s ill effects comes from diabetes research: The connective-tissue damage and chronic inflammation resulting from diabetics’ sustained high blood sugar can lead to debilitating conditions, such as cataracts, Alzheimer’s, vascular tightening, and diseases of the pancreas and liver. 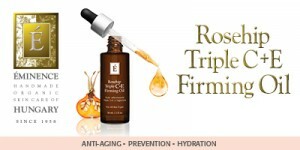 Your skin will start looking firmer, more radiant, and youthful again!